Multi-factor authentication is a mechanism of confirming one’s identity using a combination of at least two factors or methods from the list below. How often do you hear or see the words “create a strong password that is not easy to guess?” Probably more often than you think. Now, what happens if this extremely complicated password you have created is stored on a server that gets hacked or compromised? 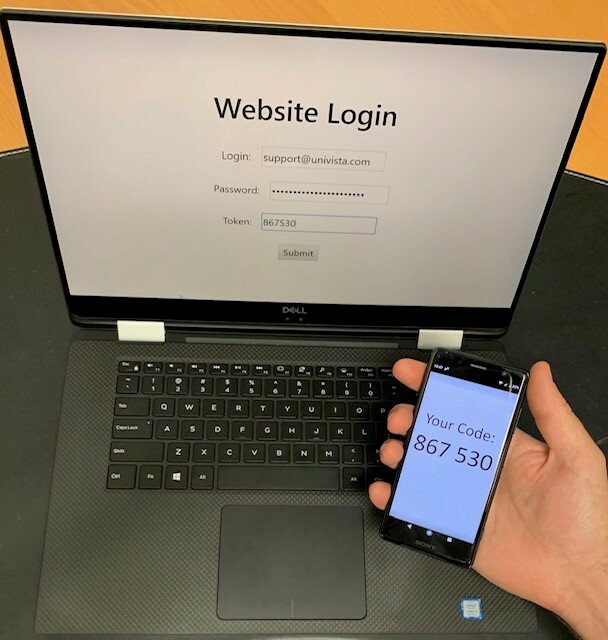 With two-factor authentication you may be able to prevent unauthorized access to your personal information despite someone else potentially having your password. For example, by turning on passcode text as your second form of authentication a hacker would need to physically have access to your passcode device in order to log in to your email or company software. So your next question may be “why wouldn’t I set up two-factor authentication?” The most commonly reported reasons most users have for not activating some form of multifactor authentication are convenience of access and not having time to set it up. Another common reason is not knowing exactly how to do so or what 2FA actually means. That’s where we come in to play. Let us help you get 2FA up and running! That might check something off your to do list, and it will improve your security once the 2FA is in use. Multi-factor authentication does not provide a 100% guarantee that your information won’t be hacked. However, properly implemented 2FA will reduce that risk and provide some peace of mind. Like disaster recovery planning you may not know what type of disaster will hit your business, but you can make sure you’re prepared for it when it happens. Just enabling two-factor authentication is a good step, but to be fully prepared you need to consider the question “what happens if I lose my phone or key fob?” How do you access your data? To be prepared, make sure you know what your provider’s backup contingencies are, and the steps you’ll need to take to retrieve access. If you’re using Office 365 through UniVista and get locked out, you can contact the help desk and we’ll be happy to help you with that. If you have other data or networks that you’d like to implement multi-factor authentication on, let us know. Maybe you have a compliance requirement that you need to meet? Let us help! We can work with you to pick a solution from the available options that works best for you!